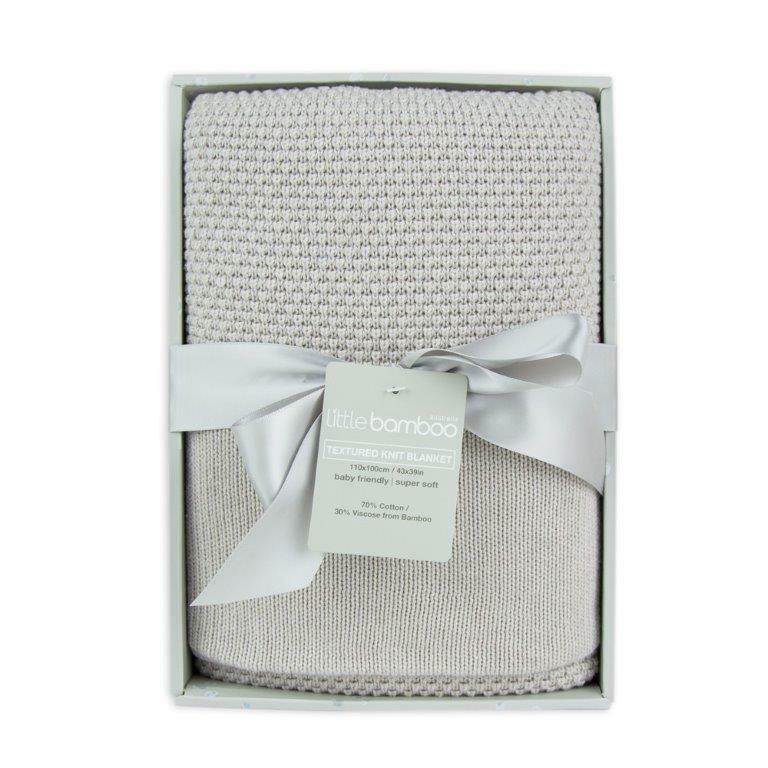 The Little Bamboo textured knit blanket is a super soft cot blanket for your baby's nursery. This textured delicate knit blanket in viscose bamboo and cotton enhances its breathability while also providing superior temperature control capabilities, it provides greater warmth in winter and coolness in summer. Bring together 40 years of history and innovation, Little Bamboo is one of the most popular and long-standing ranges of baby textiles in Australia. Be one of the first to review the Pre-order - Little Bamboo Textured Blanket - Silver.